Transponder chip key for 2004 Chrysler Sebring Sedan and Convertible . 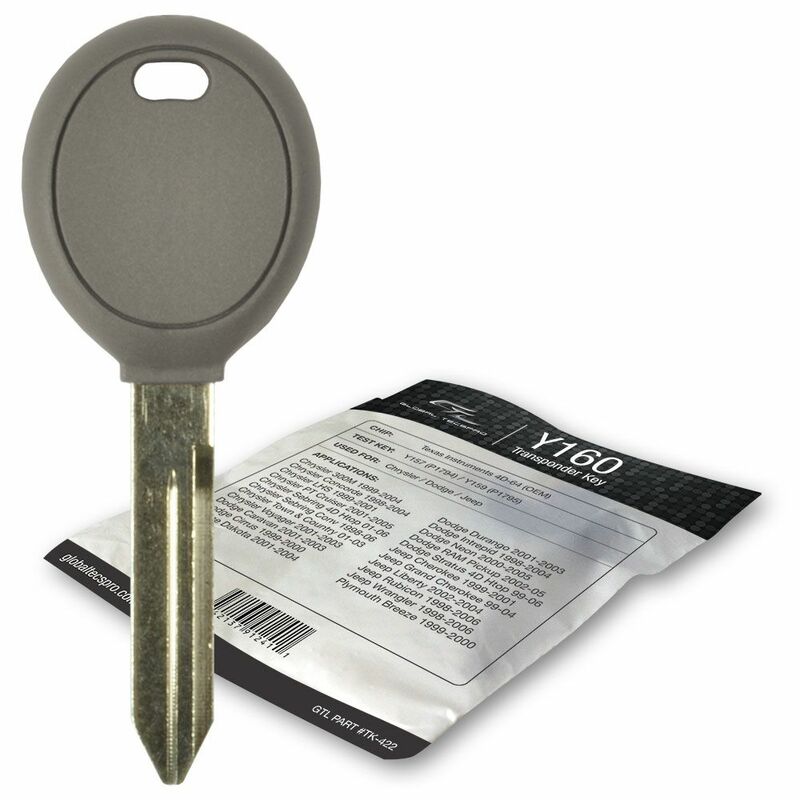 Since this Chrysler key blank has uncut blade and it is not set up with your vehicle, so it will require cutting and registration (programming) for your 2004 Chrysler Sebring Sedan and Convertible by your Dodge, Jeep or Chrysler dealer in your area or local car locksmith. Proof or ownership for your vehicle will most likely be required (like title, registration, insurance card) to make sure you are the owner or authorized user. Like most late model vehicles, this 2004 Chrysler Sebring Sedan and Convertible key has a transponder chip, part of your automobile security system, in the head of the key. This Chrysler transponder keys has a circuit, chip hidden inside the head of the key. Most of us are not aware of the fact because the chip is not visible and molded inside of the black plastic head. Important: this key will require both cutting and programming to you 2004 Chrysler Sebring Sedan and Convertible for it to work. It can easily be programmed by a local car locksmith or dealer service department.